Once home to Fighter Command and from where the Battle of Britain was organised by Sir Hugh Dowding, plans are in hand for Bentley Priory to become a museum dedicated to the memory of ‘The Few’. From July 1936 to April 1968, Bentley Priory served as the Headquarters of Fighter Command. As well as being a well-restored Soane building, so of architectural significance, it is of huge value in terms of its RAF heritage. 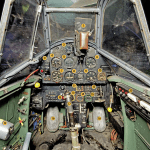 The Battle of Britain was masterminded from there, and right up until it was vacated by the RAF in 2008, its buildings contained many remembrances of the Battle; and Lord Dowding’s wartime office, with its original furniture, notebooks and other artefacts, was maintained just as he left it. Dowding’s preserved office was used for filming in the epic 1969 film Battle of Britain which starred Sir Laurence Olivier as Fighter Command’s C-in-C.
From 1937 until 1940 the Operations Room was in the converted Ante room of the Priory until the underground bunker was opened. From 1937 until 1940, Dowding’s Operations Room was in the converted Ante room of the Priory until the underground bunker was opened. It was in the Operations Rooms that Dowding monitored the intelligence required for his vital decisionmaking in the run-up to the Battle. As a part of an estate rationalisation programme, the Ministry of Defence sold the Bentley Priory site within a large contract for land disposal tied to a major rebuild at RAF Northolt. 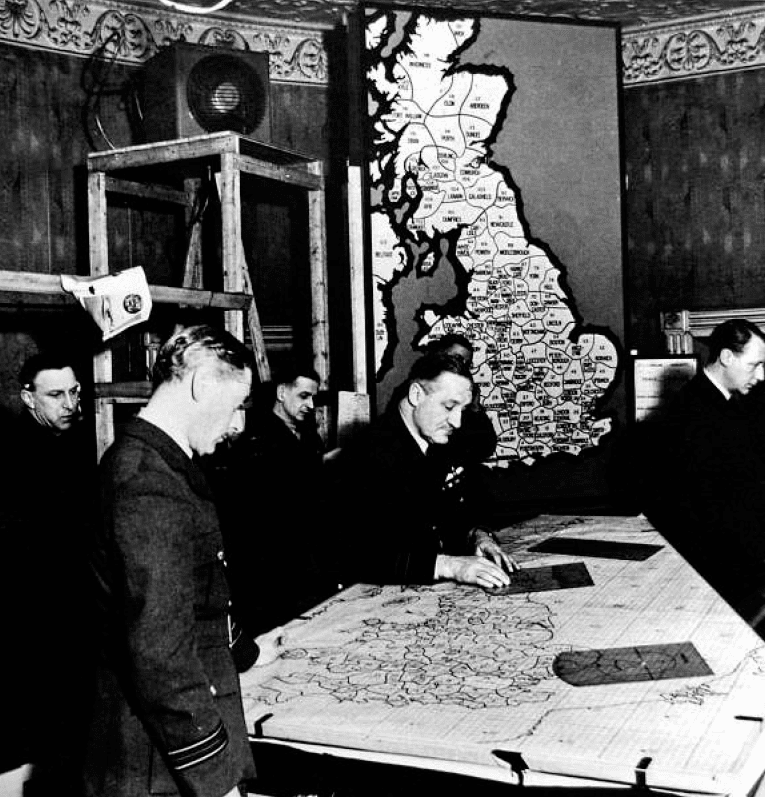 The Bentley Priory Battle of Britain Trust was formed as a registered charity to ensure the preservation of this pivotal part of world history in anticipation of its disposal by the MoD. The Trust was formed at the request of the Battle of Britain Fighter Association, whose membership is made up of the survivors of ‘The Few’. The Association considers Bentley Priory its spiritual home and an important reminder of the sacrifices of those who did not survive the Battle or the remainder of the war. 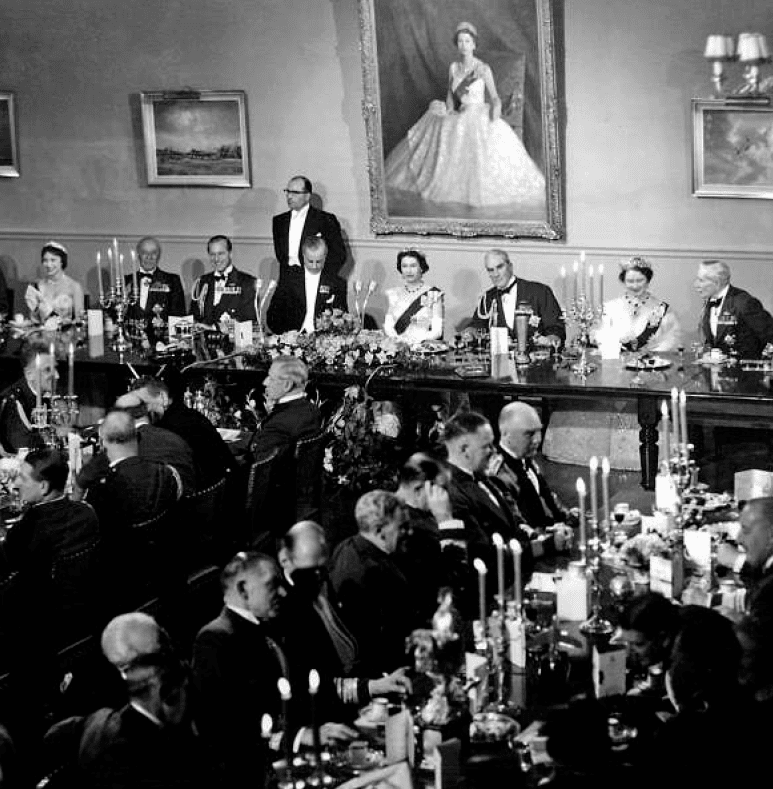 The Association has commemorated victory in the Battle of Britain with a dinner at Bentley Priory every year since 1946, when Lord Dowding was their guest of honour. 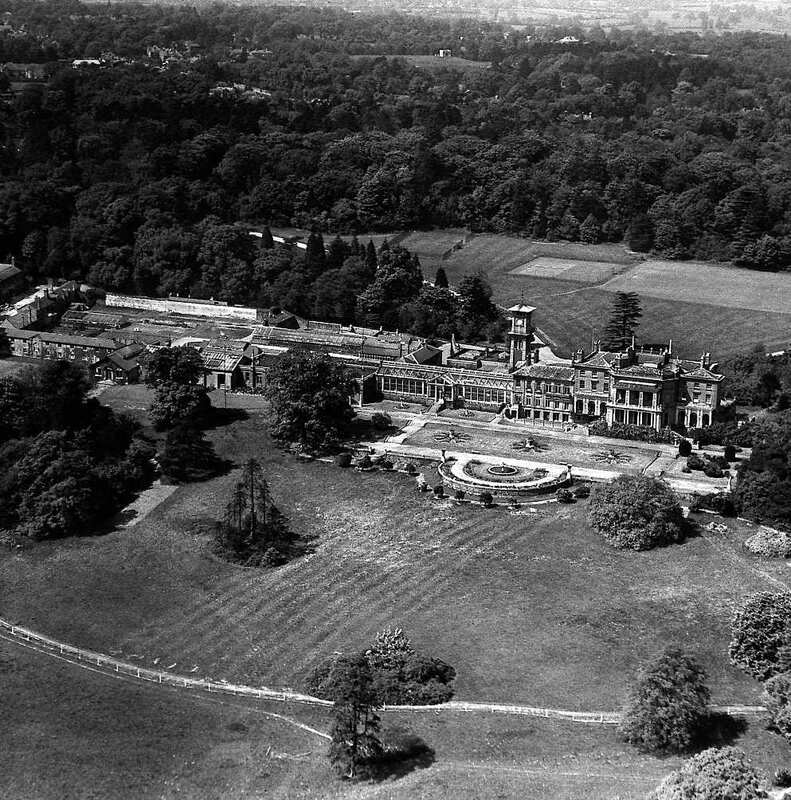 Bentley Priory hosted regular Royal visits, as highlighted here in 1958 when Her Majesty Queen Elizabeth II celebrated the 40th anniversary of the RAF. To establish and maintain Bentley Priory as a centre for education, information, training and teaching of the history of the Battle of Britain, aerospace history, aerospace technology and its future advancement. To use Bentley Priory as a permanent memorial to those who served in the Royal Air Force and in particular (but not exclusively) during the Battle of Britain in order to assist future generations in acknowledging and recognising the sacrifices made during the Battle to ensure freedom of Europe and the world. The RAF finally left Bentley Priory on 30 May 2008. The Bentley Priory Battle of Britain Trust has since worked hard to negotiate a strong position with the disposal brokers whereby the costs of refurbishing the building for museum purposes would be funded as ‘enabling development’ within the planning consent, which will include an area set aside for residential apartments. Museum development would involve the installation of accessible and stimulating interpretive displays telling the story of the house, its changing roles throughout history, its association with significant historical characters, the landscaped grounds and the vital role of the Priory during the Battle of Britain, the D-Day landings and the Cold War. The Trust would also fund an enhanced heritage-standard finish to the historic rooms and conservation work on the nationally important collection of paintings, documents and memorabilia as well as financing the detailed planning of an education programme. At the time of this publication going to press, news regarding an agreement for this was expected on 15 September 2010 – appropriately Battle of Britain Day in the 70th anniversary year. Hugh Dowding was initially an army gunner and served around the world. When he returned to Britain he learned to fly at Brooklands and was in an ideal position to join the Royal Flying Corps for World War One – he was 32. 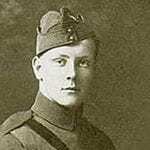 He became Commanding Officer of 16 Squadron in 1915 and a Brigadier in 1918. When the RAF was formed, he transferred and served variously until made Air Member for Supply and Research in 1930. Dowding encouraged experiments and supported Henry Tizard and Robert Watson-Watt with radar. He also advocated the use of metal in place of wood for RAF aircraft. 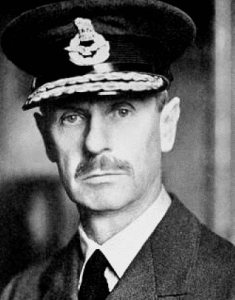 Dowding was posted as Commander-in-Chief of RAF Fighter Command in July 1936. He understood fighters and pilots, so was ideal for the job and in the years before the war he changed the way Fighter Command was operated; using key men whom he trusted to head the various Groups and establishing a ground control system that contributed greatly to winning the Battle of Britain. A great deal has been written about Dowding being removed from office after 1940, but he had exceeded in his tour of duty and at the age of 58 could look to retirement or another less arduous posting. He was exhausted and it made sense to replace him, but there were those who wanted him out of Bentley Priory though he never commented on the episode. Dowding himself credited his ground commanders and his pilots who never lost their admiration for this quiet and rather austere figure who proved an inspirational leader. Dowding died at his home in Tunbridge Wells, Kent, on 15 February 1970. At a memorial service at Westminster Abbey, his ashes were laid to rest below the Battle of Britain Memorial Window in the Royal Air Force Chapel. With many thanks to Wing Commander Erica Ferguson, Executive Consultant of the Bentley Priory Battle of Britain Trust. Information and photos courtesy of the Trust.